Two stories in the UK headlines today relate to stretched resources: The Home Office preparing its immigration system for life after Brexit, and the Equality and Human Rights Commission (EHRC) enforcing employers to publish information on their gender pay gap. According to the British House of Commons, it is unlikely the UK will have an immigration system in place when Britain leaves the EU in March 2019. The government has not published its future policy. This is causing distress for EU citizens living in Britain, and for UK businesses that rely on EU citizens. An estimated three million EU citizens will need to register as having the right to be in the UK. Border force agencies will struggle to carry out checks on EU citizens arriving in the country. Agencies like Visas and Immigration, Immigration Enforcement and other departments of the Home Office will also feel the impact of the extra caseload. These services are already finding it difficult to cope, resulting in occasional poor decision-making. 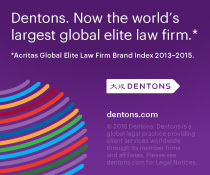 Dentons has worked with clients to help overcome these poor decisions. The UK government is due to publish a white paper on immigration policy; already postponed from last autumn, it seems unlikely to see release before March 2019. Ministers working on the white paper have said the delay is to consider the Migration Advisory Committee’s report due in September 2018. Dentons contributed to this report, so we hope to see the collated views of our clients reflected in the future shape of UK immigration rules. By April 4, 2018 companies with 250 or more employees are required to report the gender pay gap in their workforces. 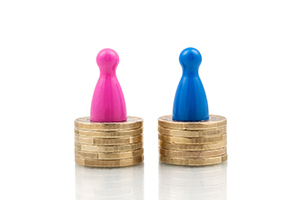 Questions have already been raised about whether the gender pay gap regulations under the Equality Act have teeth to motivate business to properly comply. On top of this, it seems likely the EHRC will struggle with having sufficient resources to enforce the regulations. However, EHRC Chief Executive Rebecca Hilsenrath has distanced the commission from the responsibility of ensuring compliance. She has described the EHRC to the Financial Times as a “strategic enforcer” that looks at novel points of law”, and “at cases which will clarify the law”, and “where impact lies.” Therefore, the EHRC does not see itself as taking on all breaches of the Equality Act. This bears out in the EHRC’s budget information: The government is not allocating additional resources for work on gender pay reporting. The EHRC will seek to increase its budget if many companies fail to comply with gender pay reporting. Having already seen its funding cut by 25 percent in the 2016–2020 spending review, a crystal ball is probably not needed to predict how any request for a budget increase will be answered.